People who experience sleeping problems are potential insomnia patients. However, diagnosing a person with this condition is quite complicated because the condition is very complex by itself. The answer to the question what is insomnia is not an easy task either. Generally speaking, insomnia is the difficulty falling or staying asleep. Additionally, people who sleep light sleep and feel tired the following day are also considered patients of certain insomnia type. This type is brief and usually happens as a result of life circumstances. Some examples of these are nervousness, stress or pain. Almost every person has experienced this type of insomnia at a certain point. The advantage here is that this condition can be resolved without any treatment. The most common way to do so is by relaxing and relieving the tension that leads to insomnia. Chronic insomnia is a case of disrupted sleep. This sleep occurs at least three nights a week, for duration of at least three months. Doctors consider diagnosing a patient with chronic insomnia only after this period has passed and the symptoms are still present. There are many things that cause this type of insomnia, such as environment changes, unhealthy sleep habits, other clinical or medical disorders and conditions; and certain medications. People diagnosed with chronic insomnia can benefit from some treatments and get back to their normal sleeping patterns. However, finding the proper treatment for chronic insomnia is not an easy task. This happens especially because many cases of chronic insomnia are co-morbid – linked to another psychiatric or medical issue. 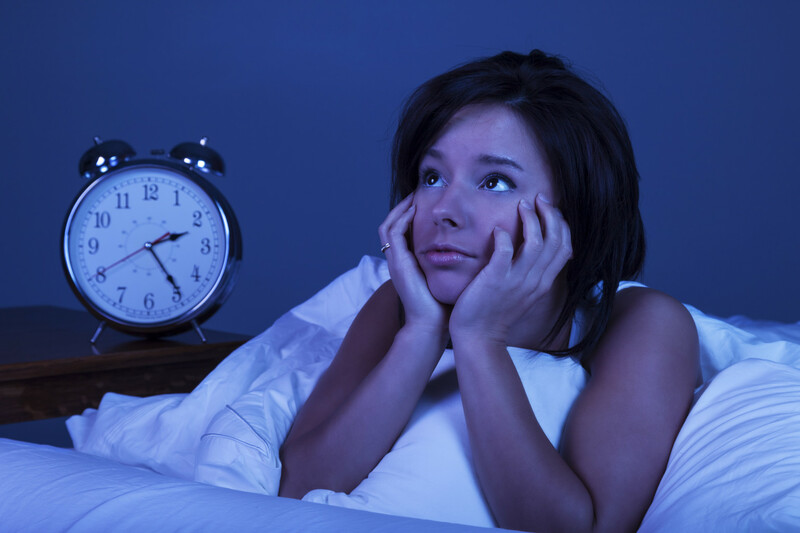 Insomnia is a very common sleep problem, especially when it comes to adults. The National Institutes of Health have estimated that up to 30% of the general population has this problem at a certain point. 10% of these people have associated symptoms of daytime impairment when it comes to functioning and these symptoms can be related to chronic insomnia. The National Sleep Foundation Poll of 2005 has discovered that the majority of people reported some insomnia symptom that particular year. 33% of these people said that they experienced at least one of these symptoms every night or a few nights a week. The most common occurring symptoms were waking up during the night and waking up tired in the morning. Insomnia is generally more common in women than it is in men. When it comes to most common age group of people suffering from insomnia, the highest percentage of 68% goes to adults aged 18 to 30 years old. The adults aged 30 to 64 follow, with a percentage of 59, while people over 65 have the percentage of only 44. Secondary insomnia is connected to other health problems that interfere with the sleep. Insomnia can also be defined in terms of inability to fall asleep or remain asleep at conventional times. There are two related disorders, also referred to as circadian rhythm disorders. This term refers to a circadian clock that is reliable, but runs late. People diagnosed with this condition fall asleep late at night or even early in the morning. The result is difficulty in waking up in the morning. This syndrome most commonly develops in order people. It unravels excessive sleepiness when people wake up in the morning and waking up too early. People are sometimes recommended participating in sleep studies. In these studies, the subjects spend one-third of the time sleeping. The idea here is that the majority of people need around 8 hours of proper sleep in order to function well. However, individual adults have different needs and the amount of sleep that is considered healthy can depend of the case. Another proof of this can be found with infants, who actually need much more sleep in order to be healthy (can even sleep for duration of 16 hours a day). Sleepiness at mid-day also referred to as siesta time. This rhythm can inter-mesh with various factors. These can influence and interfere with the individual patterns of sleep behavior, such as the cases of monthly menstrual cycle in women and light signals. Light signals perceived through the eyes can reset the cycles of the circadian daily. Therefore changes in light exposure and seasons can unsettle the regular pattern. This is why blind people experience difficulties in falling asleep and remaining asleep. Generally speaking, sleep consists of two states. These alternate in cycles in order to reflect various levels of the brain nerve cell activities. These are all descending stages. As the descending process happens, the result in awakening becomes more difficult for the person. The NonREM sleep causes are not yet identified. However, when it comes to deep sleep, a balance between stress and growth hormones is considered to be of great importance. REM sleep is also called active sleep. The most vivid dreams of a person occur in this cycle. When REM sleep is in action, the brain activity can be compared to that in walking, but the muscles are virtually immobilized. This is why people are unable to act out in their dreams. The only muscles that are not immobilized during this stage are the vital organs such as the lungs and the heart. However, another pair of organs that is not immobilized re the muscles of the eye. When people have sleeping deprivation, their brains find it more difficult to function than in cases where they are well rested. Eyes move rapidly behind the lids after 90 minutes of nonREM sleep. This gives rise to the REM sleep cycle. The nonREM/ REM cycle repeats as the sleep progresses. NonREM sleep becomes lighter with each cycle, while REM sleep becomes longer. It starts out from lasting only a few minutes early in the sleep and moves to approximately an hour at the end of the episode. There are many things that can cause insomnia. One of these causes is change of stress, which is known to lead to transient and short-term insomnia. This condition is also called an adjustment sleep disorder. 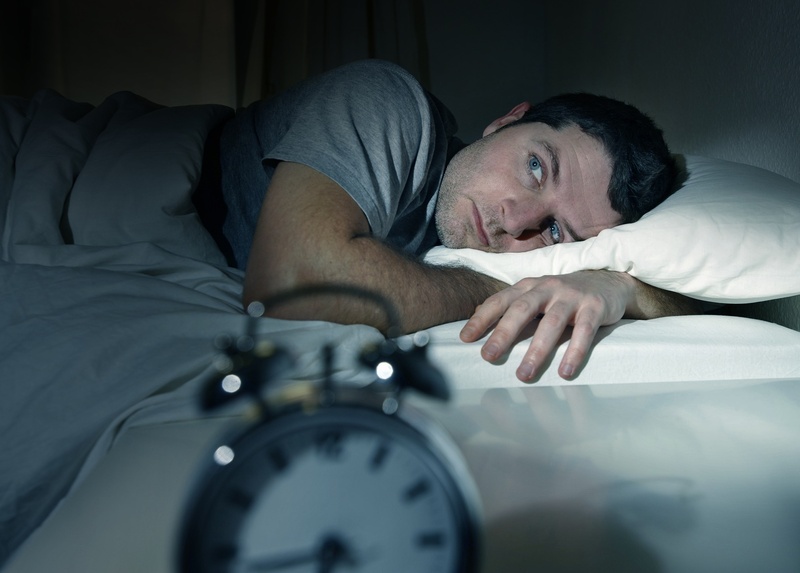 Insomnia is generally not life-threatening, but can increase the accidents risk. Additionally, many psychiatric problems and medical conditions can develop as a result of insomnia. These can in return affect the work and school performance and therefore significantly interfere with the current quality of life. Also, sleep deprivation may result in obesity and weight gain. Sleep deprivation causes sleepiness symptoms and this can increase the risk for accidents with motor vehicles. Drowsy driving as a result of insomnia is proven to be as risky as driving drunk is. People diagnosed with severe insomnia have very poor quality of life. Even though this is not life-threatening disease and is considered to be in the list of less serious chronic conditions, it can make the life of the patient more difficult. People who suffer from insomnia experience daytime sleepiness. This can lead to irritability, decreased energy, poor relationships with other and mistakes at school or at work. Stress and depression are considered to be the most common insomnia causes, but the hormones and pathways in the brain can also cause insomnia. In cases where these are associated with other mental health problems, chronic insomnia can increase the risk of developing anxiety and depression. Insomnia leads to many negative symptoms which in term can cause difficulties concentrating and performing tasks. Sleep deprivation can seriously impair the ability of the brain to process the information. When one suffers from insomnia, they must follow the treatment guidelines from their doctors in order to avoid these situations. Even the mild, modest alterations in the sleeping patterns can damage or improve the person’s mood.